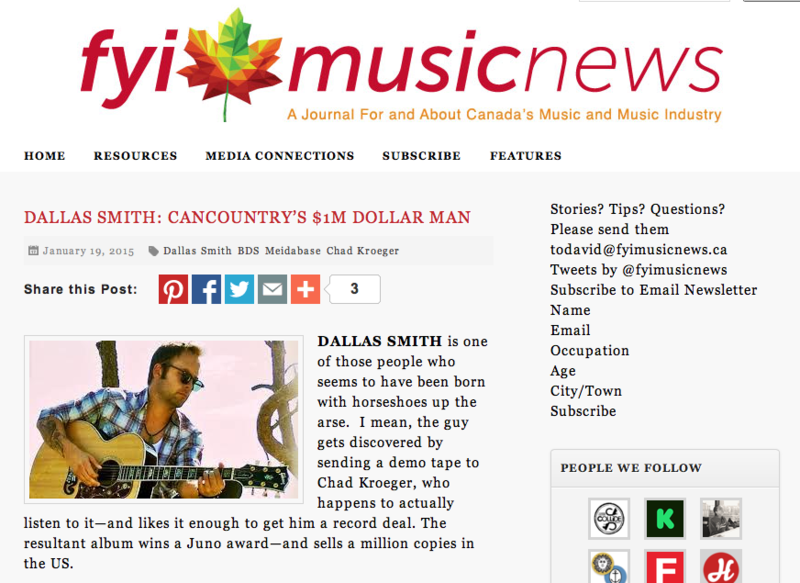 Dallas Smith is Canada’s Country “1 Million Dollar Man”. The latest interview was featured by FYI Music News on Dallas career and latest #1, Wastin Gas. The feature also includes a quote from Big Loud Mountain’s own Chief on his thoughts about it all.